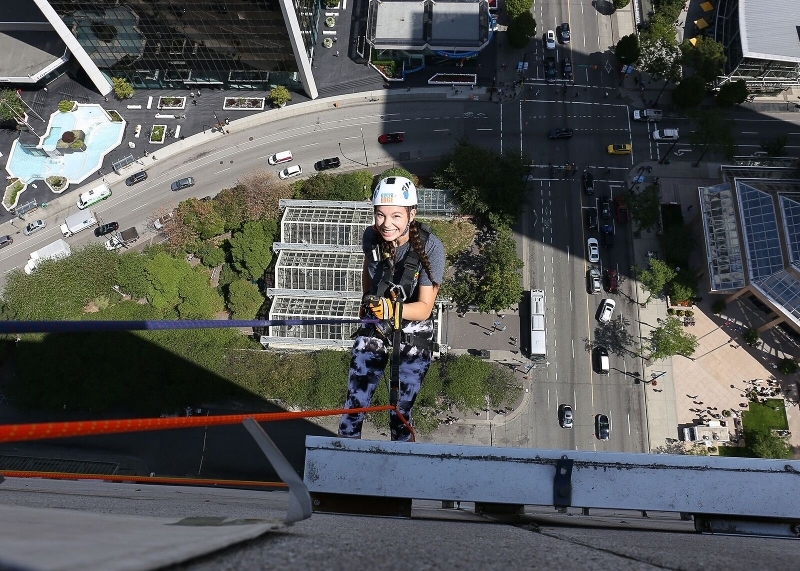 For the third year in a row, I am participating in Make-A-Wish® Rope for Hope, and rappelling down from the Hyatt Regency in downtown Vancouver to help grant the wishes of children living with life-threatening medical conditions. The past two summers, this was an amazing and rewarding experience and I am so excited to be participating again! In May of 2016, one of my best friends, Ben, was granted a Wish from the Make a Wish Foundation. However, due to his illness, he was unable to go on his trip to Hawaii or to Comic Con in San Diego. Ben was a person who brought joy into every room he walked into. I'm inspired by him to work on this project, so that I can help give a little joy in the life of someone who needs it. To read more about Ben's story you can visit Ben's website. Now, we need your help to make a difference. With your support, we can allow the Foundation to continue to create powerful wish experiences, improving a child’s state of mind, replacing fear with happiness and helping them to feel like a normal kid again. To learn more about Make-A-Wish® please visit www.makeawish.ca. Beginning now, until the day of the jump on June 27th, 2019, I will be accepting donations towards this cause. Additionally, I will be running some fundraisers along the way. Stay tuned for more details! May 4th: Pub Night at Roo's Public House in Coquitlam. $20 for a ticket, see the Facebook event for more details. Ongoing: Bottle and can returns. Contact Daria for pick up! Every donation counts. Your commitment will help move Make-A-Wish closer to their vision of granting the wish of every eligible child in communities across Canada.